ShowingFilter 1-20 of 1716 listings. 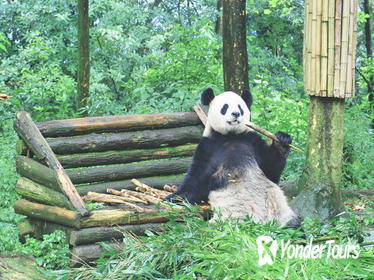 During this private tour, visit the pandas of Chongqing Zoo then enjoy views of the Yangtze River and stroll around Ciqikou Ancient Town. A personal guide accompanies you to a restaurant lunch plus the Sichuan Opera where you can opt to for a photo shoot in operatic costume (extra expense). Appreciate the development of historical Chongqing city as you get an intimate look at this mountainous river city. This 2-Day flexible and relaxing Shanghai tour package gives you a great overview of this dynamic city as well as Zhujiajiao, the classic Chinese water village. Other than visit the top famous attractions, you will also enjoy a customizable shopping itinerary to cater to your own shopping needs. If you wish to enjoy a relaxing traditional Chinese Spa after the amazing cultural and city tour, choose the spa option at time of booking. Convenient door to door transfer is included during the tour. 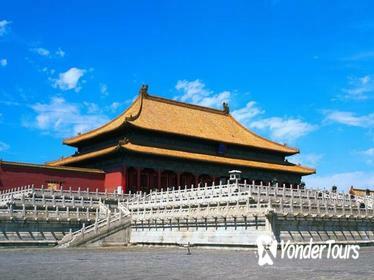 Our 3 days Beijing city break unlocks the secrets of the capital of the most populous country on earth. Join us to get under the ancient skin of this rapidly developing city, experience local life and customs and be amazed by the food and vibrant culture of today's China. Hiking the Great Wall of China is a stunning visual way to learn about the history of the country. 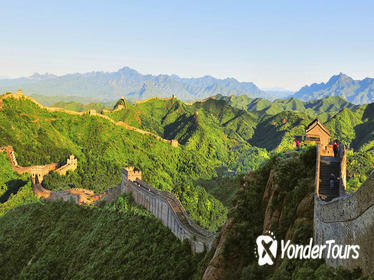 Join this 3-day guided tour and explore 3 of the most impressive sections of the Great Wall. Start from central Beijing and tour Jinshanling, Mutianyu, and Badaling on this all-inclusive tour, with an English speaking guide ensuring you appreciate the significance of this wonder of the world. Qingdao is located on the south of Shandong Peninsula in China. Eenjoy the amazing beauty of coastal scenery, the ups and downs of the fairy isle on the sea. Visit the Laoshan Mountain and Catedral de San Miguel and experience perfect combination of modern buildings and natural plants in an urban area. You can see European-style buildings build by the former residences of celebrities and learn more about the rich modern and contemporary history. 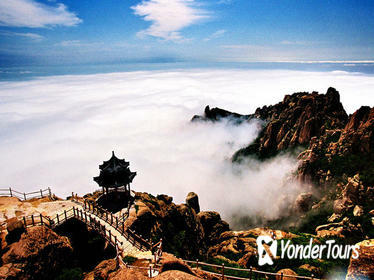 Experience the amazing Qingdao City that embraces both eastern and western culture and a place that features beautiful mountain, sea and city, a top coastal site throughout China. Also don't miss the famous freshly brewed Qingdao beer at Qingdao Beer Museum! 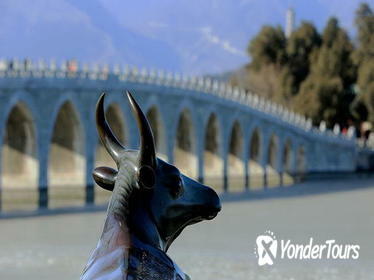 2 day generally is a proper time to visit Xian, this ancient city. In this all-inclusive tour, we takes transfer, driver, tour guide, admission fees, lunches and accommodation well arranged and you are left with great flexibility to decide which sites you would explore according to your interest and suggestion from our experienced tour guide if you need. 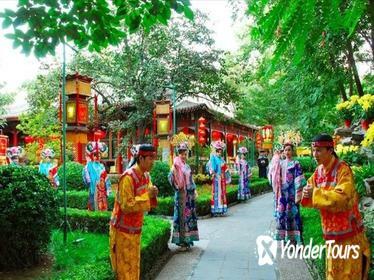 You can decide the travel pace and attractions sites with hassle free to disclose the mysterious mask of this ancient capital of China. 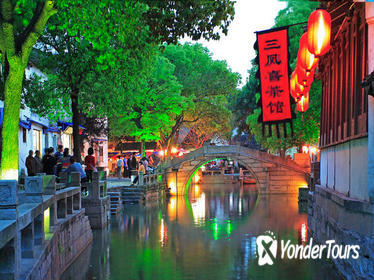 The Chinese capital is packed with sights, meaning many travelers don't know where to get started. 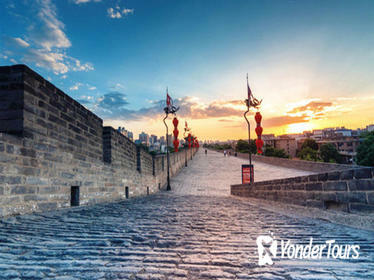 Simplify your visit with this handy three-day daytime sightseeing tour, which covers the highlights of Beijing, including the Great Wall and the Ming Tombs. Tours are capped at 15 people for a personalized adventure and include a homemade lunch with a local family - plus other VIP perks. This private tour will take you to Luoyang & Dengfeng by high speed train from Beijing for two days of sightseeings with a professional guide. 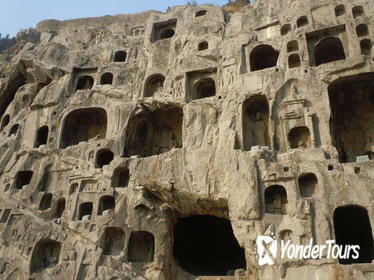 First day you will visit Longmen Grottoes to viewÂ thousands of Buddhist statues carved into the mountain at this UNESCO World Heritage Site. Stay overnight at a 4-star hotel, the next day going to visit the famous Shaolin Temple known as the birthplace of Chinese Buddhism. Shaolin Temple also developed the martial art of kung fu, and you will watch a kung fu performance. AfterwardsÂ you will have a chance to visit Songyang Academy which is one of the oldest academy in China.Â After the tour return to Beijing. Mt. 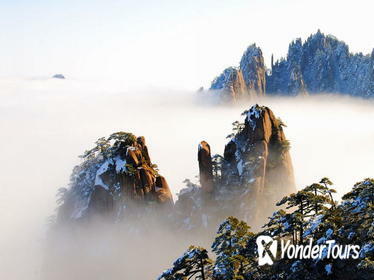 Huangshan (also called the Yellow Mountain), is recognizable for its dramatic, ragged peaks, but the scenery on the ground is just as beautiful as the mountain itself. Tour the mountain's valleys, streams, and villages on this 2-day tour, which introduces you to local culture and wildlife alongside a guide. This tour includes transportation, some meals, and optional accommodation. 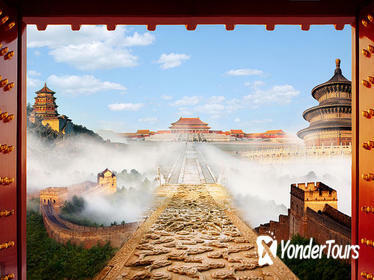 Visit Beijing by bullet train with this two-day tour from Shanghai. 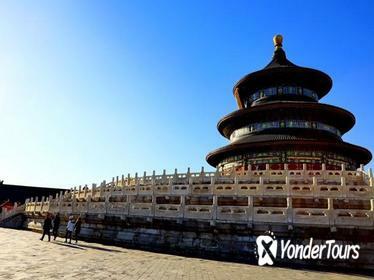 You'll get to visit sites such as the Mutianyu section of the Great Wall of China, along with Tiananmen Square and the Forbidden City, not to mention the beautiful Temple of Heaven and the Summer Palace before heading back to Shanghai on day 2. 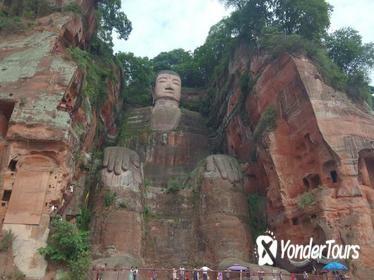 Spare yourself the hassles of negotiating Chengdu's public transport system with this private guided door-to-door tour of the 233-foot (71-meter) Leshan Giant Buddha, a UNESCO World Heritage site. Traveling by bullet train and private vehicle, stroll around the mighty Buddha, then enjoy a traditional Sichuan lunch and a mahjong session in a teahouse. Discover amazing Shanghai city and Suzhou plus one famous water village (Tongli, Zhouzhuang or Zhujiajiao) in this 2-day private sightseeing tour. 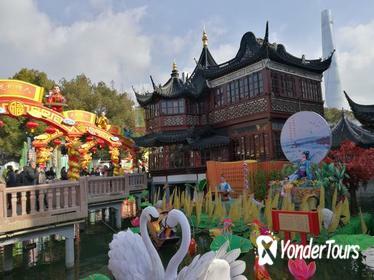 Accompanied by your profession private guide, and visit the top attractions based on your interests, such as Yu Garden, Jade Buddha Temple, Master Net Garden, historical Pingjiang Road, a relax boat ride in the water village and more! The itinerary can be 100% customized based on your interests. 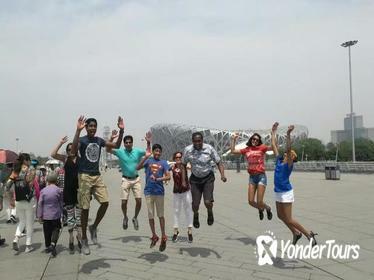 This tour offers a booking option to upgrade your package to see famous Shanghai acrobatic show. This privateÂ tour will take you to Qufu in the heart of Shandong, where you visit two UNESCO World Heritage Sites with a professional guide. Learn about the great philosopher of ancient China, Confucius, whose system of belief still shapes Chinese culture today. 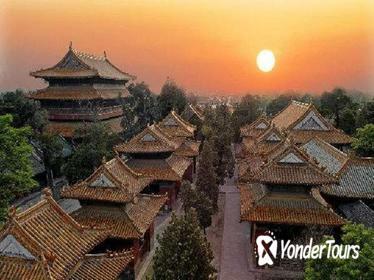 With your guide, have a full day to explore the Temple of Confucius, Cemetery of Confucius and the Kong Family Mansion. 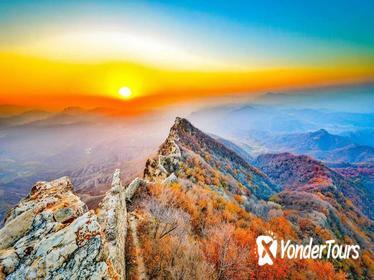 Then spend a second day on Mt Tai (Tai Shan), visiting sacred temples and other sites. After the tour return to Beijing. 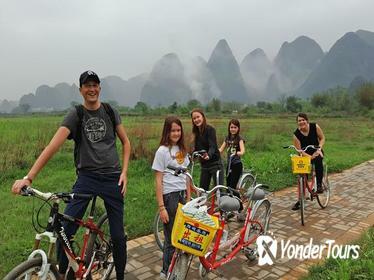 Famed for its soaring karst mountains and verdant rice paddies, Yangshuo is commonly considered one of China's most beautiful corners. On this private tour, get up close and personal with the scenery when you explore the region by bike. Meet your guide in the morning at your hotel, and pick up your bike for the day. Wend your way through the countryside and discover charming villages as you go. 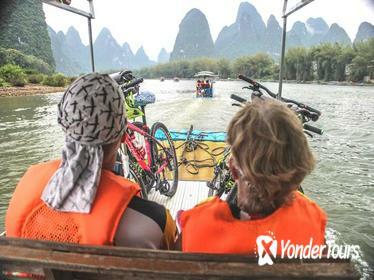 You'll even follow in the proverbial footsteps of former U.S. President Jimmy Carter, who once toured Yangshuo by bike. 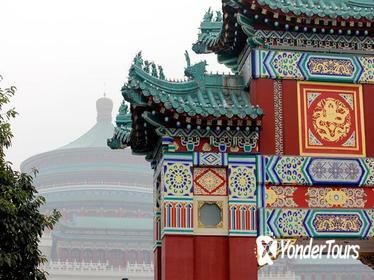 An all-inclusive tour of Beijing highlights ensures that you don't miss a thing in China's capital city, even if you're traveling on a short time frame. Travel in a private luxury vehicle to top Beijing attractions such as the Forbidden City, Temple of Heaven, and Mutianyu Great Wall along with your personal guide, stopping to enjoy a tasty traditional lunch every day between activities. This tour includes all transportation, entrance fees, some meals, and tour guide services. Enjoy a romantic 2-day getaway to Gubei Water Town from Beijing to see the starry water town at the foot of Simatai Great Wall as well as to experience the true historic atmosphere of Jinshanling Great Wall. Stay in a traditional style courtyard hot spring hotel for a night to take away the fatigue of touring in the water and experience first hand tasty local delicacy. Professional private guide, private transportation, entrance fees, round trip cable car tickets at both Simatai and Jinshanling Great Wall and meals are all inclusive. PEK Airport pickup and drop-off service is also available.